The end of summer is here and that means it’s apple season! We have some local orchards that we love visiting to collect apples and making fresh applesauce every fall. 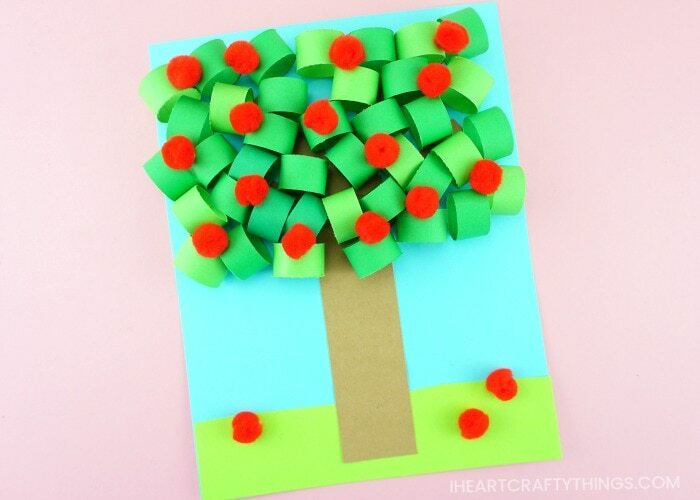 We also love making a new apple tree craft. 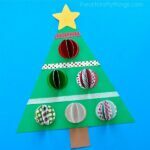 This year, just like in the past few seasons, we made a fun 3D tree craft. 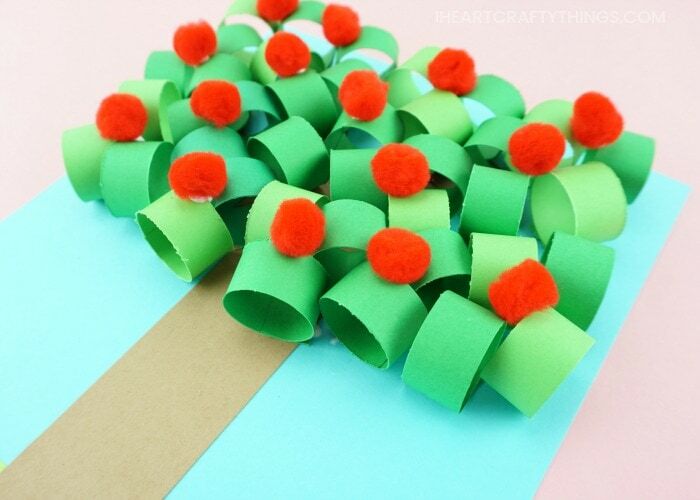 This paper apple tree craft has awesome dimension and is perfect for a fall kids craft. Children will love making paper circles and creating their own unique and pretty apple tree craft. 1. Begin by cutting off a section light green cardstock for grass. Glue it onto the bottom of your light blue cardstock. 2. Cut a rectangle apple tree trunk from brown cardstock and glue it onto your light blue cardstock. 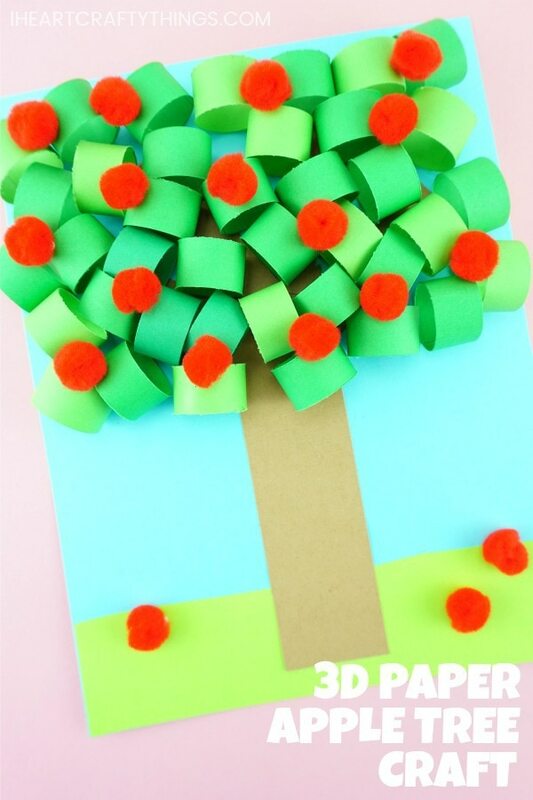 Then cut out four rectangle tree branches and glue them at the top of your paper apple tree raft. 3. Cut out several sections from your green cardstock that are 4 1/4-inch x 3/4-inch. We used a lighter color green and a darker color green. You will need about 40-50 strips. 4. Turn each of the green strips into paper circles. Do this by adding some extra strength glue stick to one end of the green paper strip. Then curve the paper around to form a circle, gluing the two ends together. Continue adding glue to each paper strip and making them into circles. 5. 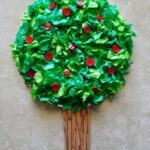 Add a dot of Tacky Glue at the bottom of a paper circle and glue it onto your paper apple tree craft. 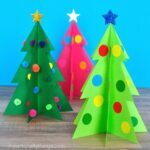 Continue adding a dot of Tacky Glue to each paper circle and gluing them around the top of the apple tree until it is full. 6. Add a dot of Tacky Glue onto your red poms and glue them around your apple tree to make apples. We added some red poms on our grass to look like apples that had fallen out of the tree as well. 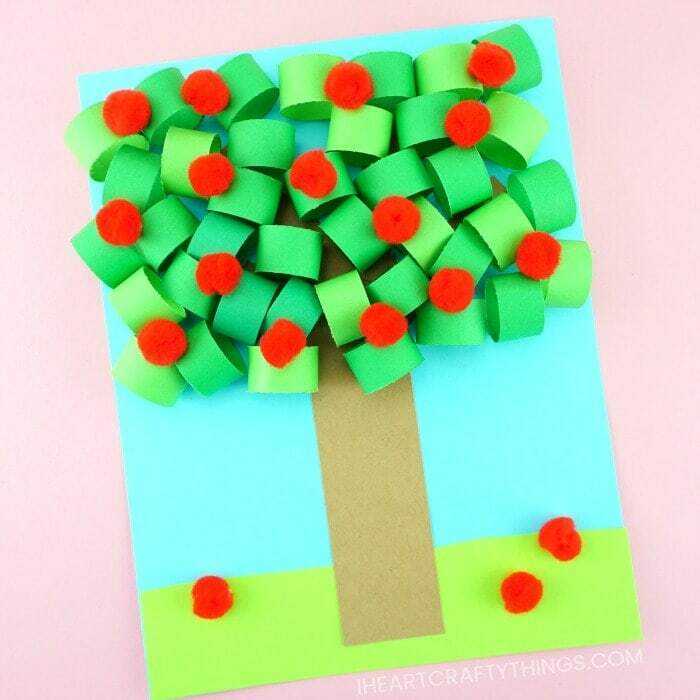 Your 3D Paper Apple Tree Craft is complete! Looking for more fun 3D paper crafts? 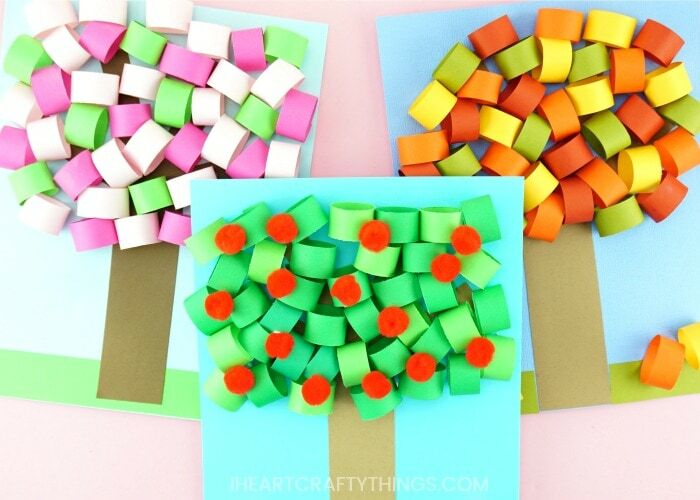 Try making a different tree for each season of the year. 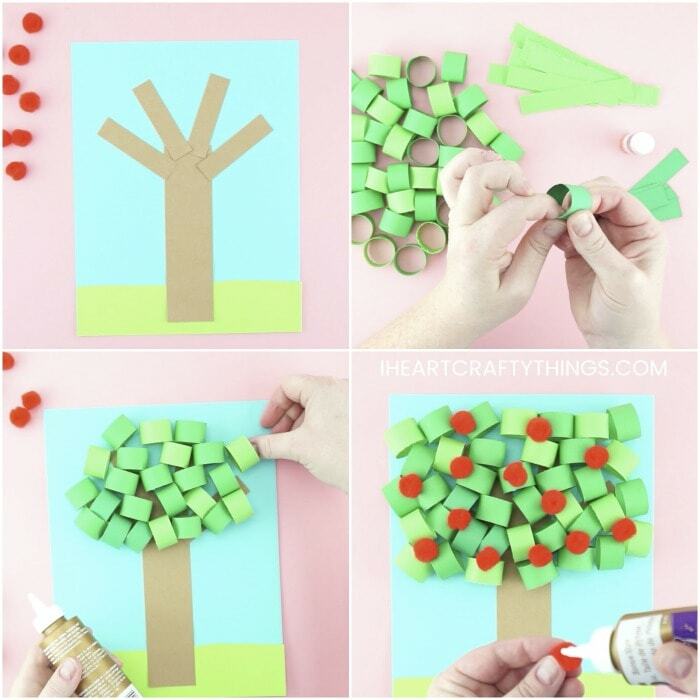 See the instructions for our spring tree craft and fall tree craft. These simple and colorful 3D paper butterflies are great for making any time of the year. Do you love making paper flower crafts? We have a free template available for making these colorful 3D Paper Tulips. We adore these colorful 3D Paper Fish from our friend at Red Ted Art. They make a fun, twirly decoration.